I have always been an MIT snob, proudly supporting my alma mater and brainwashing my kids to strive to attend it (it's working on Adam but not Dova). I even removed UC Berkeley (MS Mechanical Engineering) from my facebook profile because it bumped MIT off my profile page. Same goes for the alumni magazines. MIT's top-rated Technology Review magazine is read by hundreds of thousands beyond its own alumni and I devour every issue with zeal. When I receive the Berkeley engineering alumni magazine, Forefront, I never allow myself to be impressed. Recently, Forefront has stepped up its game. I have to admit being impressed with technologies they have developed from affordable exoskeletons, to the new bay bridge, to this little wonder, the CellScope. The CellScope transforms a standard cell phone into a diagnostic-quality microscope, which can transmit images of tissue samples for instant diagnosis from anywhere in the world. 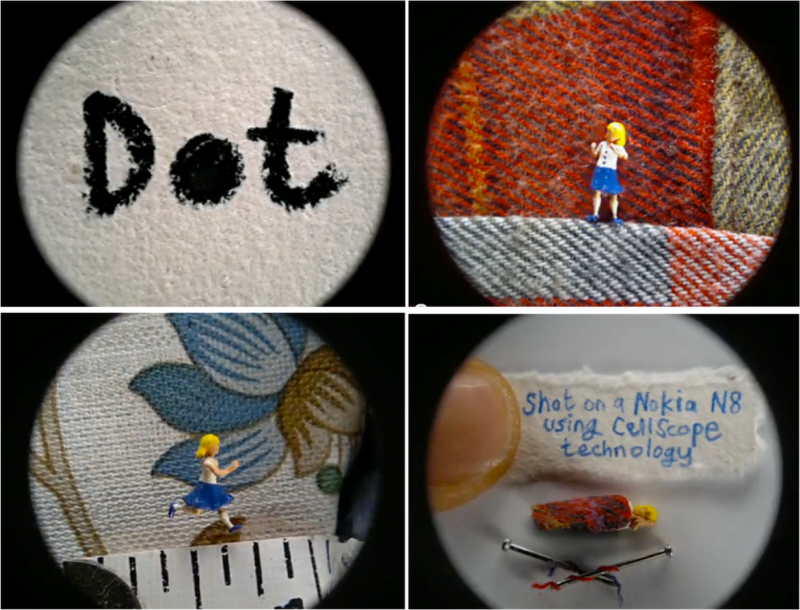 But then I saw this cool stop motion video of a 9mm doll, Dot, filmed entirely on the CellScope. Aardman Animations, the producers behind Wallace and Gromit, created this charming little film using a Nokia N8 with the CellScope technology. Equally amazing is the behind the scenes making of the video. Fifty versions of Dot were created by a 3D resin printer and painted by hand. Check out the magic behind the artistry. This month, Aardman Animations was awarded with the Animation Award at Rushes Soho Shorts Festival for Dot. Dot also holds a Guinness World Record for the smallest stopmotion animated character in a film. Amazingly useful medical diagnostic tool as well as award-winning short film technology? I am truly humbled and impressed. Wow--awesome video. Thanks for sharing. Oh man that is really cool! Thanks for sharing! LOVE technology!